Small businesses can have a hard time finding lenders that are willing to finance their business. 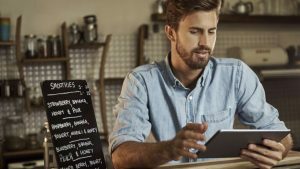 To make this process easier, here are four tips to getting small business financing. Demonstrate a steady cash flow – A steady cash flow indicates that your business is healthy and that you have sufficient money to pay your creditors, employees and other vendors on time. Therefore, you should provide your lender with financial statements, tax returns, and bank statements to strengthen your standing. If you have dips in your cash flow, you should provide clear reasons to your lender. Maintain a manageable debt load – The amount of debt carried on your balance sheet will let lenders know how much your business is in debt. If you want to get more financial help, it is best that your debt level is low or you should have a clear plan as to how the additional funds will grow your business. Payment history – Speak to your previous or current lenders and ask them to verify in writing that you have paid your debts on time. A letter from your lenders is a good way to prove to your new lender that you will pay your debts as soon as they are due. Prove business judgment – A strong business plan will show your lender that you have looked into all aspect of your business and the future obstacles you may face. You should clearly state two scenarios; one should indicate how your business will perform with the investment and the other should indicate how it will perform without the investment.